When Anton's Grosz's friend Peter died---suddenly, much too young, while jogging with his dog Max---Grosz was struck by how little prepared Peter had been to make a conscious exit. These letters are what Grosz would have told him, if he had been given the chance, about the process of dying and what comes next. 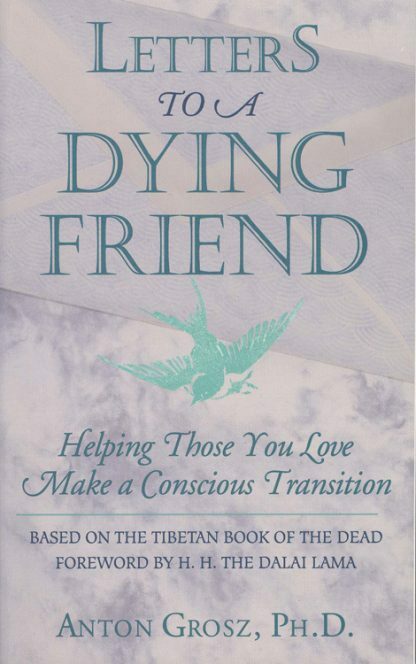 Fortunately, we do have the opportunity to read these moving letters and to discover how the ancient wisdom of the Tibetan Book of the Dead and its corroboration in the near-death studies of today's researchers can help us. This knowledge can make us better prepared and help us to prepare those we love to leave life with conscious grace and faith in the life to come.